When I was in elementary school, my mother took a home catering course that was held in the cafeteria of a local school. 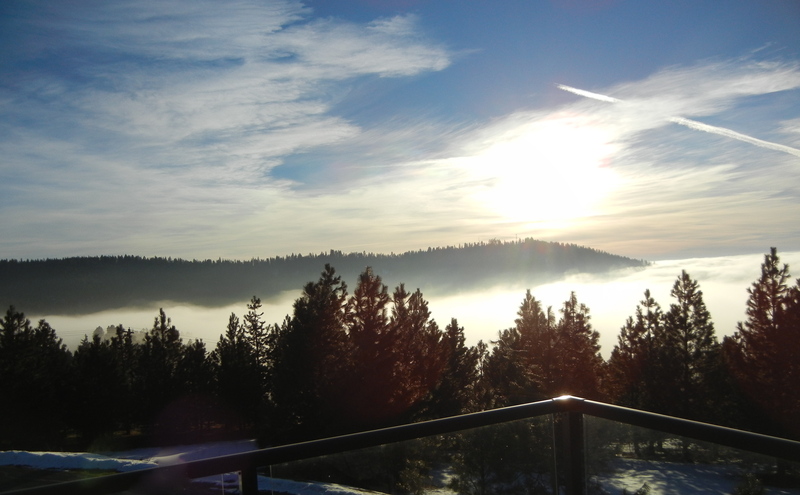 Although my mother worked part-time as a bookkeeper, her primary identity was as the keeper of a home with four children – she was a homemaker. This was, after all, the Fifties. There were a number of such classes offered to help women perfect their home-making skills. I only remember a few things she learned to make: tiny carrots made out of Velveeta cheese and a bit of parsley, another appetizer consisting of little circles of toast with a mound of ground beef ornamented with circles of mustard and ketchup, to be served hot to guests who would no doubt be in awe of your culinary skills. My mother was a already a great cook of traditional foods, and I don’t remember her newly learned appetizers appearing many times after the initial introduction to the relatives at a family party. 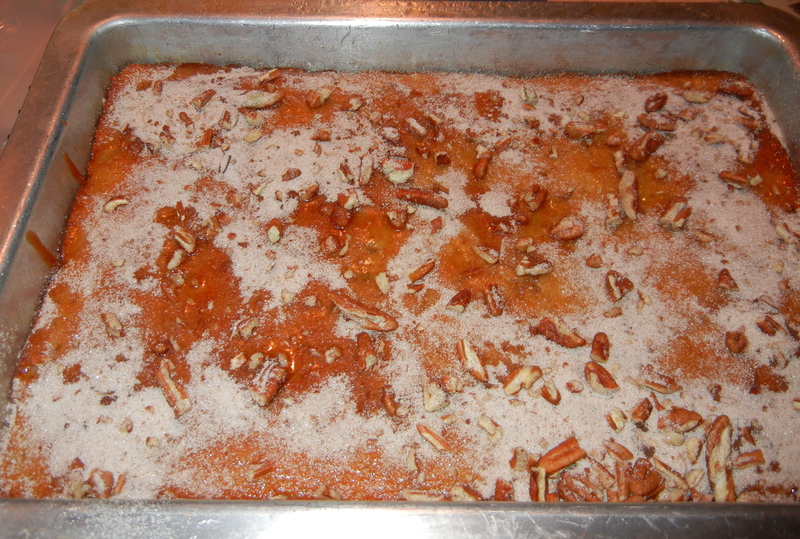 One recipe that stayed, however, was Orange Kissimmee Cake (for the town of Kissimmee, Florida). We always giggled because we thought it was “Kiss Me” cake, which to our childish minds had a tinge of naughty. 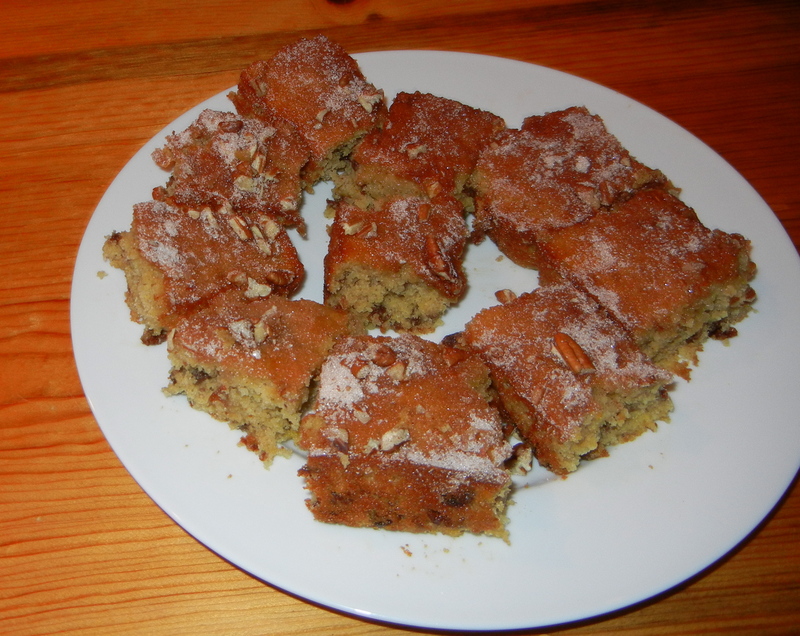 But it was one of my favorite cakes, redolent of nuts, orange, cinnamon, and raisins. It was bitter and sweet – a grown up cake so different from frosted cakes. The recipe I found in Susan Purdy’s “Have Your Cake and Eat It, Too” was similar to my mother’s recipe (and Purdy calls it Orange Kiss Me Cake – tee hee), although considerably lower In fat. My mother ground up the orange with walnuts and raisins, using the same hand grinder that she used to make chopped liver for the holidays – this recipe only uses nuts on the top of the cake. I lowered the fat content further by substituting some of the oil with applesauce. A VERY IMPORTANT NOTE about oranges. 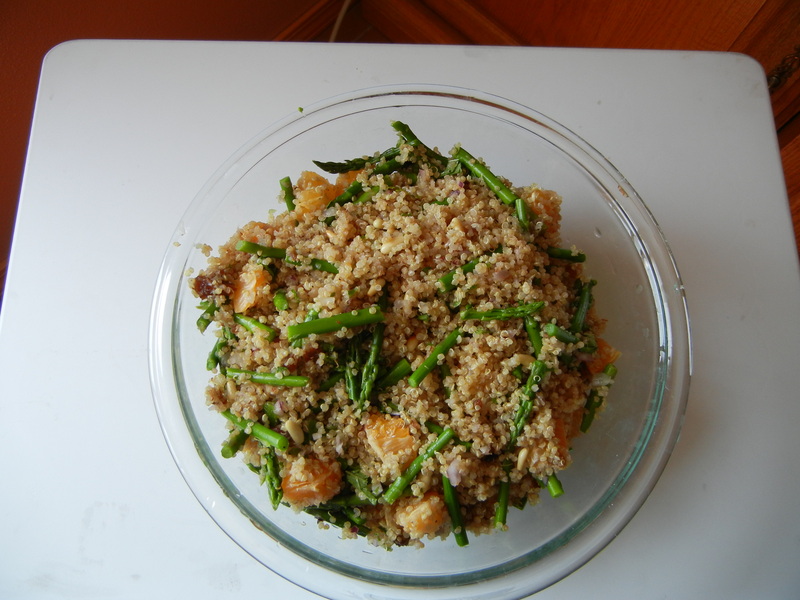 This recipe calls for one whole orange to be ground up whole, with the skin, which is what my mother did. But Florida oranges are very different from the navel oranges available in stores in most of the U.S. Florida oranges are juice oranges and have thin skins, and very little bitter white pith. 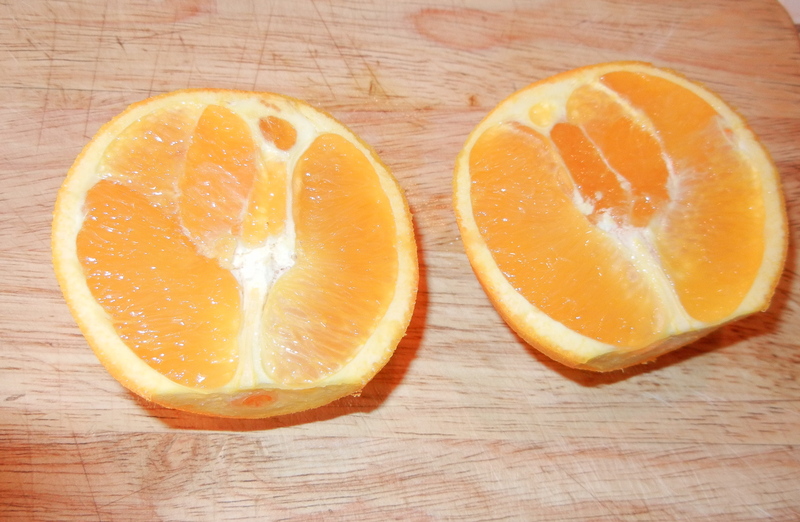 Navel oranges have thick skins, and lots of bitter white pith. If you are going to use a navel orange, which I did, you will need to remove the thin orange zest, then peel the orange to remove the white pith, and cut the remaining fruit in eighths to be ground with the zest and raisins. If you are fortunate enough to have a thin skinned Florida orange, you can just grind it skin and all. Preheat oven to 350. Spray a 9×13 inch pan with cooking spray. Dust with flour and tap out excess flour. Sift together flour, baking powder, baking soda, salt, nutmeg and mace into a bowl. 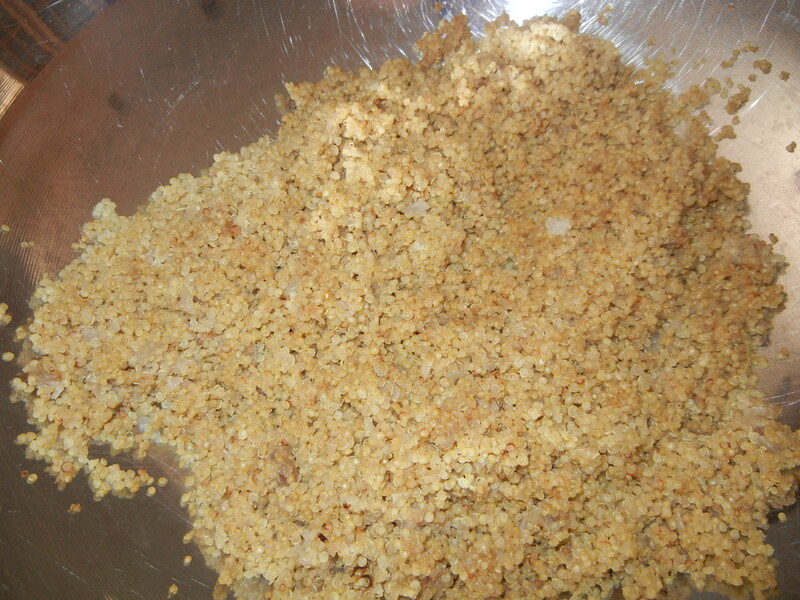 Stir in wheat germ. 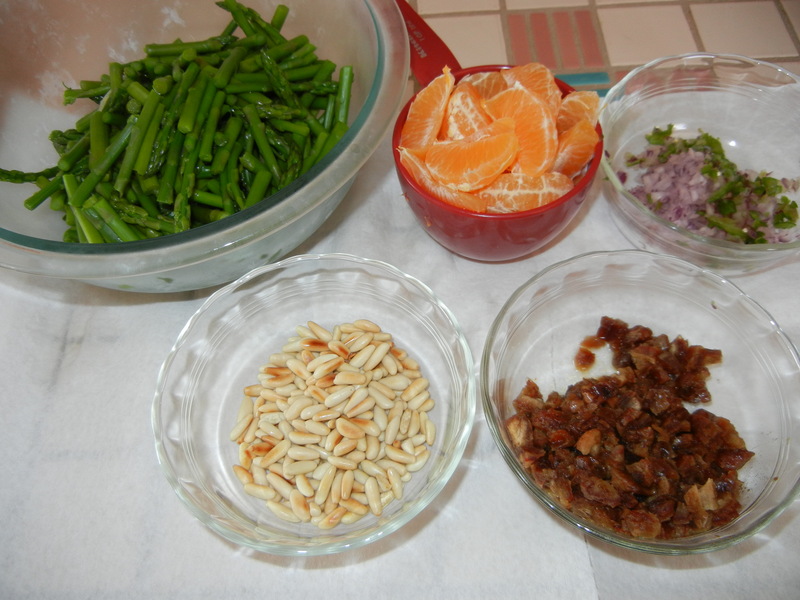 In a food processor or meat grinder, grind together the orange sections (and zest for non-Florida oranges) and raisins. 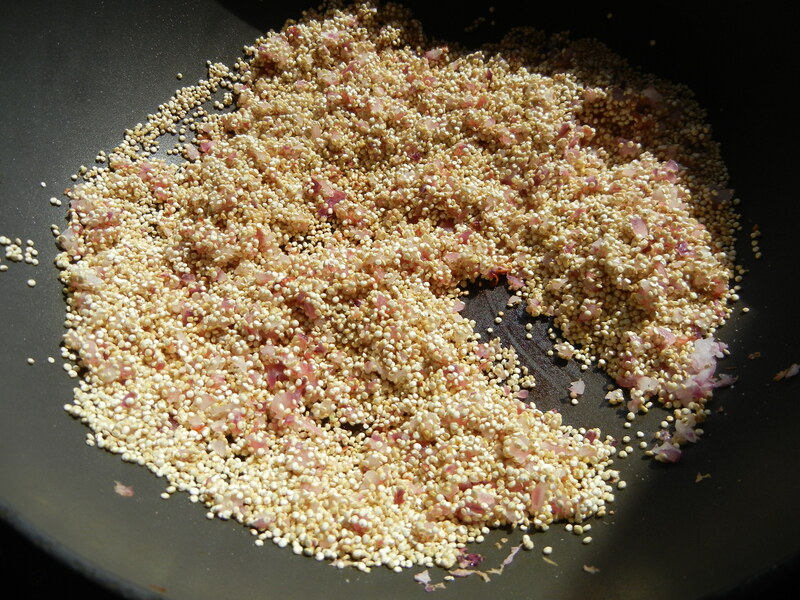 If you are using a food processor, be careful not to puree the mixture – you want it coarsely textured in about 1/8 inch bits. In the large bowl of an electric mixer, combine oil, applesauce, sugar, egg, and egg white. Beat until well blended. Alternately add the flour mixture and the orange juice, beating on low speed, and starting and ending with the flour mixture. Stir in the orange/raisin mixture. Spoon the batter into the prepared pan and level the top. Bake for 35-40 minutes or until the cake is golden brown on top and a cake tester inserted into the center comes out clean. While the cake is baking, prepare the glaze and topping. In a small saucepan over medium heat, stir together the glaze ingredients (orange juice and sugar) until the sugar dissolves. Remove from heat. In a small owl stir together the sugar, cinnamon, and nuts. Set aside. Remove cake from oven when done. Set the pan on a wire rack. While the cake is still hot, prick the top all over with a toothpick or bamboo skewer. Spoon the glaze evenly over the cake. Sprinkle on the topping. Allow the cake to sit for about 2 hours to absorb the glaze and to cool thoroughly. Cut into squares and serve. The original recipe said it made 12 squares, but these would be very large. I made 24 servings at about 3.5 grams of fat/serving. If you should happen to have some leftovers, this cake freezes well, although some people have been known to eat the pieces while still frozen rather than waiting for them to defrost.